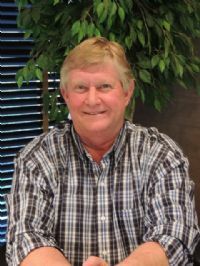 Barry is a life long resident of Randolph County. He and his wife Becky have one son, Brett. Barry is a retired farmer, having been active in both cattle and row crop production. He has served as President of Farm Bureau and he and his wife were finalists in the State of Arkansas Farm Bureau's Young Farmer and Rancher Program. With Barry's many years of expertise in farming and his vast knowledge of this area, he will be an asset to marketing agriculture property, as well as residential and commercial.